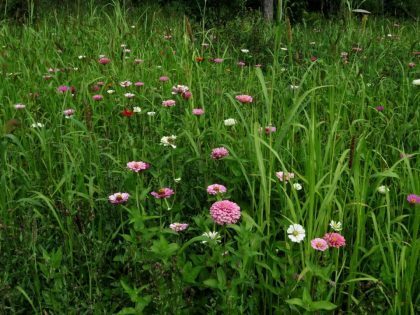 August 15, 2018 – We planned the restoration of the H. Smith Richardson Wildlife Preserve in Westport to be great for birds and pollinators but even we are surprised by what has happened. With the help and generosity of Charles Stebbins, a member of our Board of Directors and one of the motivating forces behind the restoration, we were there recently to erect deer fencing. Nick Niles from Sasco landscaping volunteered along with some of his crew, giving us a free day of labor. What we found was a soon-to-be paradise for migrating sparrows – a “sparrow-dise” in the making. Earlier we had planted a cover crop of millets and other grains. 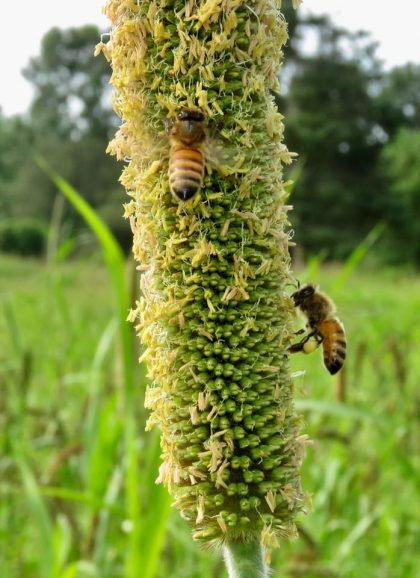 The point was to help control invasives ahead of a fall planting. 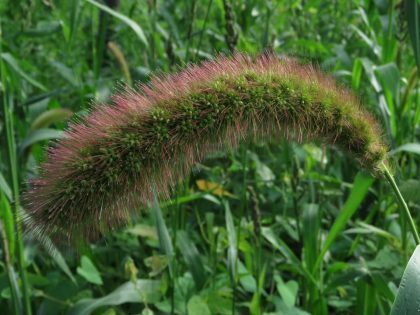 It has turned out to be better than we could have imagined, producing a field of waving grasses like giant foxtail that will be loaded with seeds. Migrant sparrows and other seed eating birds are going to put on quite a show there this fall! The work was a small portion of the major habitat restoration project funded in part by the National Fish and Wildlife Foundation ‘s Long Island Sound Futures Fund, Planet Fuel, Patagonia Westport, and generous donors like you. 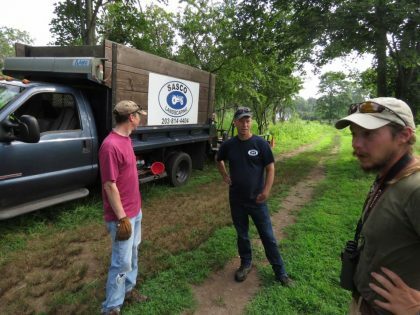 Nick Niles of Sasco Landscaping, center, with Connecticut Audubon’s Jim Arrigoni, left, and Stefan Martin. 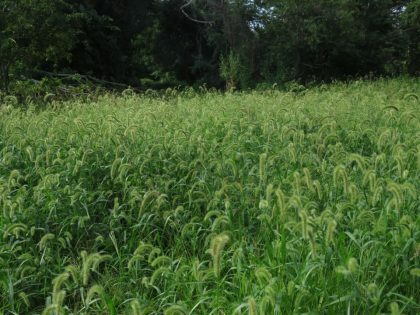 Grasses meant to control invasives have turned into great sparrow habitat. 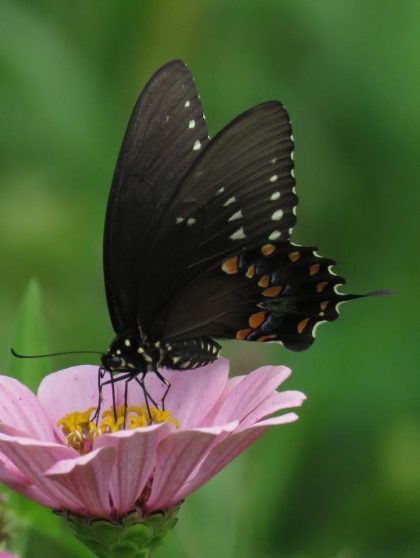 Spicebush swallowtail. All photos by Patrick Comins. Zinnias provide color and nectar.